Manufactured in a cleanroom environment from film extrusion to adhesive coating to cutting and packaging. Each layer is 100% coated with a consistent application of adhesive and is free of bubbles and wrinkles. Each individual mat layer is numbered 1 to 30 or 1 to 60. Straight, non-bevel edges. 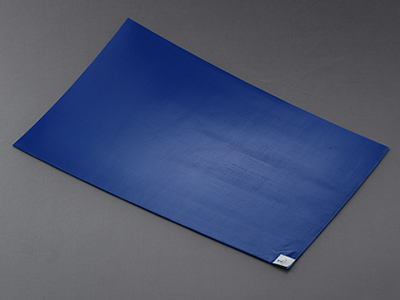 The backing of the mat is coated with an adhesive that adheres to floors, but can be easily changed without leaving a residue. Compatible with various frames or can be placed directly on the floor without using a frame. Custom adhesive strengths to create lower or higher tackiness are available upon request.